LONDON : Closed Loop Recycling-a plastics recycler based in Dagenham, London has entered into a joint agreement with the London Thames Gateway Development Corporation (LTGDC) to expand its current facility by adding to its HDPE recycling capacities. 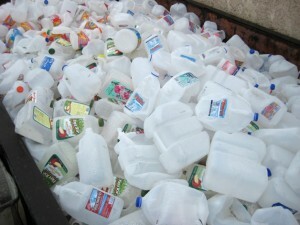 The expansion will make Closed Loop Recycling the largest recycler of milk bottles in the world. According to company sources, it intends to double the supply of recycled HDPE through multi million pound investments on the three acres of land, which Closed Loop has already taken for lease. The upgrading activities will increase the capacity of the facility from the existing 35,000 tonnes per annum to 55,000 tonnes per annum. It will enable the company to produce milk bottles with higher rHDPE content, as demanded by the country’s dairy industry. The company has also decided to implement an awareness campaign in partnership with the local authorities to increase the collection rates of milk bottles. Founded in 2008, Closed Loop Recycling collects discarded soft drinks and water bottles made from polyethylene terephthalate (PET) and milk bottles made from high density polyethylene (HDPE) and recycle them back into food-grade plastic. The resulting rPET and rHDPE is then used to make new bottles and food packaging. Their Dagenham facilities is the first of its kind to use state of the art technology to sort, wash and super clean both types of plastic meeting EU and US FDA standards.